In this rich, involving novel from #1 "New York Times" bestselling author Danielle Steel, a woman's life catapults from the old to the new, as she learns to seize the moment. Despite her children's grief, her own conflicting emotions and loneliness, Stephanie tries to move on, but struggles to find herself as an independent individual, after years of giving up her life for everyone else. A spur-of-the-moment road trip and fork in the road lead her to Las Vegas, the Grand Canyon, and a chance meeting-and her whole life changes forever. She meets country music megastar Chase Taylor, who opens his whole world to her, and Stephanie is no longer the same woman, and can't be anymore. A new man. A new life. The excitement of Nashville. She discovers not only Chase, but herself. The music is bittersweet and the lyrics true in his dazzling, exotic and honest world. 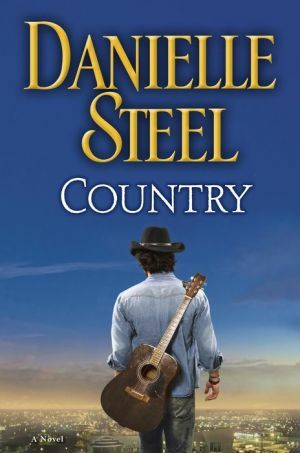 As it deftly explores the complex ties between spouses, children, lovers and friends, and dances between the past and the future, Danielle Steel's moving novel brilliantly captures the shock of sudden loss, and the freedom it can bring. Here America's most beloved novelist shares the enduring power of seizing the day. Carpe Diem.